One educational tool that has gained popularity among astrophiles, children and science students around the world, is the starter telescope. Although some individuals refer to them as merely ‘toys’, some of the best telescopes for kids are compact units that are affordable to purchase, and small enough for use while on the road. These scopes are perfect for learning more about astronomy and all its components; although tiny, they are extremely beneficial to the overall development of your child. If you’re into the exploration of nature and space, or you’re looking for something more than a toy, be sure to have a look at our list of the best kids telescopes. There are many ways to get your child learning while they play and this first telescope on our list presents such an opportunity to both you and your little one. The CSSEA telescope for kids is a 70mm innovative creation, engineered to cater to the astronomical needs of children, adults and everyone who loves all things NASA and space-related. They are also often used by professional scientists and travelers to make discoveries about the night sky and all it encompasses. The CSSEA telescope makes all objects in space extremely easy to decipher and identify. Once purchased, you only need a maximum of ten minutes for set up, and the rest is history. The CSSEA telescope is equipped with various features that set it apart from many of its competition. The first feature this children’s telescope can boast of is its focal length and aperture. The CSSEA features an opening of 70mm, with its focal length measuring up to 360mm. All images produced by are crisp, with heightened clarity and brightness, thanks to its fully coated optical glass. The high transmission coatings on the glass are responsible for the development of clear images whenever you look out the CSSEA. As mentioned earlier, the set up for this telescope is straightforward. Once purchased, this unit comes with its tripod and a vast range of accessories such as a bag for storage while on-the-go and an altazimuth mounting that encourages the smooth vertical functioning of the CSSEA. To point out located object during your observations, the CSSEA telescope has a panhandle included in its design, suitable for people of all ages. Also, two uniquely designed eyepieces come with a purchase, which delivers an intense magnification from 51X to 128X and even 5X24. This form of magnification allows for easy identification of all objects. The central aspect of the CSSEA’s design that we much appreciate is its versatility. This telescope can be used at all times within the day, be it morning, noon or night. It is one of the best children’s telescopes, and we know it’ll get your kids loving the science of astronomy. It makes for a great birthday gift for your child, cousin, nephew or niece, and anyone in your life who loves stargazing. And if you want to join your kid, make sure you check our guide to the best telescopes. The MaxUSee Kids Telescope is another ‘no tool needed’ telescope, engineered for children’s use. It is one of the greatest models ever designed, and it is fully equipped with various exciting features that make it the only telescope your children wish for. This boys telescope is a piece of educational science equipment that is not only user-friendly but also immensely portable. It can be moved or carried from the classroom to the roof of the school, or from your child’s bedroom onto your patio. The MaxUSee is an ideal unit for beginner astronomers and all children. With more positive features than negative feedback from users, this children’s telescope is one of a kind in many ways. The MaxUSee telescope seems like your traditional telescope, and this notion cannot be far from incorrect. With its diverse and exciting features, the creators of this astronomy tool sought to provide children and beginner scientists with as much quality as they can, to enable them to greatly appreciate everything they identify in the night sky. Some of the features the MaxUSee operates with include a tube compass, a 5X18 finder scope and a focal length of 400mm. Included in the entire package is a pack of two eyepieces which feature a moon mirror. These eyepieces make clear observation possible by delivering precise, crisp images through the telescope lense. The full package for this kids telescope contains items such as a tripod for easy mounting, a pair of binoculars which feature an FMC green multi-coated optics and a BK7 roof prism for an even clearer vision. There is also a 3x Barlow lens in addition to the three separate eyepieces provided for all users. Just find the perfect place to stargaze and enjoy with your little one. As compared to its other counterparts on the market, the MaxUSee telescope is an inexpensive learning tool for kids. Even though it is cheaper than most, its additional features greatly outweigh many expensive brands, not forgetting its bonus addition of a pair of binoculars. With the MaxUSee telescope, stargazing becomes more than just an educational activity. It transforms the ordinary action of identifying galactic elements into a fun event you can share it as a parent or teacher. Merkmark is a company that prides itself in being extremely knowledgeable about matters relating to children’s education. They have been in the educational toy business for an extended period and as such, are fully aware of the various trends and technologies that can be used to capture the attention of any child. 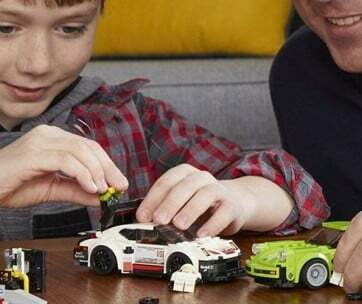 Since its start, Merkmark has sought to be among the world’s most renowned producers of educational toys, and this has become a reality, with their brand being a household name. When one thinks of educational toys for children, this is a brand that quickly comes to mind. It is not surprising thus that the Merkmark telescope for kids comes highly recommended by many teachers and parents alike. Even the children are recommending this telescope! The Merkmark girls telescope is made from plastic and is designed for easy use by any astronomy beginner and children of all ages. This telescope delivers bright images of high quality and magnification power, made possible through its 360×50 refractor scope. It is an astronomical and compact telescope also designed with a 50mm objective lens diameter, a tripod and three different magnification eyepieces for your viewing pleasure. Installation of this telescope is straightforward and time efficient, with only three minutes needed to bring it to life after your purchase. The 50mm diameter lens of this telescope comes fully multi-coated in a manner that makes viewing in low lighting possible, and this cannot be said for other telescope brands on the market. Set up your resolution 18 times, 60 times 27 times or 90 times for the perfect image resolution at any time. Despite its many encouraging features and new pros, the Merkmark telescope has lost some users due to its short and non-adjustable tripod stand. The questionable stability and inability of children to reach their favorite telescope significantly reduce their enthusiasm for stargazing and as such, reduces their desire to learn with the unit. The bright images offered by the Merkmark telescope coupled with its theory resolution, ease of use and high-quality construction is enough to make it one of the highly purchased models across the globe. The Merkmark telescope for children is a suitable gift for your little one on the occasion of their birthday, or as a lovely class present for your students. This also makes a perfect educational toy for your child. Just point and shoot for the stars with your TwinStar AstroVenture refractor telescope. This is a great beginner scope designed as a fun, educational toy for kids. There is no better beginners telescope for kids than this, in any part of the world! 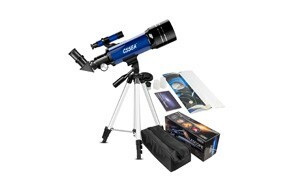 This refractor telescope is extremely easy to assemble and use. It features a step-by-step color photo online assembly guide, which enables users to assemble and disassemble their unit in just five minutes. The physical package also comes with paper instructions for its set up, and all directions are made as understandable as humanly possible. With the AstroVenture telescope, you can make a quick trip to space to visit Saturn’s Rings or enjoy a piece of cheese from the Moon! You can visit the Orion Nebula, all its binary star systems and even have a little fun with the Beehive star clusters. There are so many friendly features of the AstroVenture telescope for kids, besides its interesting online setup tutorials. Some of these features include a 60mm Achromatic objective lens, 2x Barlow lens, three eyepieces with a 6mm, 20mm and .965 mm diameters, a 300mm focal length, an altazimuth mount for increased stability and easy usage outdoors and an aluminum tripod that is full-sized and light in weight. The tripod features a design that makes it ideal for all astrology lovers, no matter their heights. We love recommending this telescope for kids because of how easy it is to install. Once it’s out of the box, you’re only required to screw your telescope onto the tripod, attach the finder scope and insert the eyepiece for clear, crisp images. Usage requires just two main steps; point and shoot. Regarding portability and ease of assembly, the AstroVenture telescope for children tops the charts. Its aluminum tripod is also one of a kind, with a superiority that far surpasses the quality used in the construction of other beginner scopes. Start your child right with one of the best scopes money can ever buy. Not only is it affordable and durable. 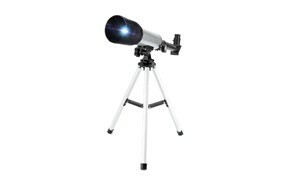 It is a telescope of great value great for the beginning astronomer and a professional stargazer. It makes the entire activity one of comfort and excitement, with its adjustable features and high-quality output. There’s nothing more we would ever want from a children’s telescope, this scope from TwinStar is everything we’ll ever need and much more. This also makes a perfect gift for your 7 year old. 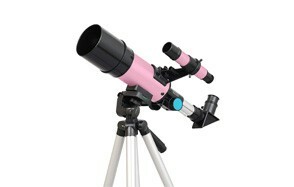 The Black Twinstar telescope is a fun beginner scope for children who yearn to discover what exists in the skies fully. Its engineering is tuned to enable your children to have fun while they learn new, exciting things about space and nature. Its easy setup and installation process makes the Twinstar 60mm telescope one of the best scopes in the market for children. In total, four simple pieces require snapping together. After every locked bit is placed together, you only need to mount the unit onto the included tripod base, and you’re ready to explore! The various kinds of the telescope for kids in today’s market come in different sizes, heights and price. The Black Twinstar telescope for kids is categorized by many of its users as one of the most affordable units in existence. For an amount, not more than $100, any parent or teacher can be the source of a child’s joy. One of the most significant benefits you will receive with a purchase of this telescope is quality time with your kids. An activity such as astronomy can become a family passion and a time for each member of the family to learn new things. It also takes all members away from the rapid technological advancement of the world, even if it’s for just an hour. The exciting features of this children’s telescope have led to the existence of numerous positive reviews from many satisfied customers. One major feature appreciated by all users is the tripod of this scope. Lightweight and steady, this tripod is a beautiful piece of mechanics that helps with the portability of your telescope. You get to move your telescope from one room to the other or from one city to another with ease. Included in every package is an erecting eyepiece, an element that is much appreciated by parents and children alike since it can be used to view all landing objects in their right orientation. Other elements found in the packages once purchased are two eyepieces and Barlow lenses, and two refractory lenses. The eyepieces are included to deliver greater magnification, while the two eyepieces provide clear images of Jupiter, the Moon, and its craters, as well as Saturn and all its rings. The Black Twinstar telescope is an entry-level telescope, and as such, it offers more detail to closer objects than objects farther away from its viewing range. Some users recommend the inclusion of a star map or book with this telescope, as it will offer some guidance to children while they use the scope. The text can display the space objects to look out for, as well as how they can be located. We recommend this telescope because it encompasses everything needed by children in a telescope; portability, ease of use, no extra tools for installation, and clear images. 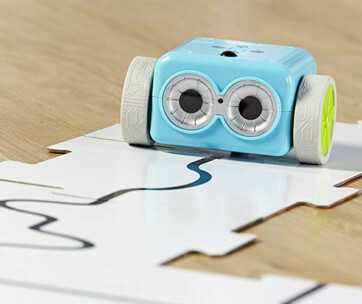 For more interesting toys check out our guide to the best robots for kids. The Explore One kid’s telescope is the last educational toy we will review in today’s article. This children’s telescope is engineered to turn the ordinary into the extraordinary by the reveal of all celestial secrets such as the lunar terrain’s intricate contours. It is the ideal portable telescope for all budding junior astronomers and those new to the use of glasses. Since their inception, Explore One has made it a goal to change the educational system by integrating play into the curriculum. This is made manifest through their many innovative products that are centred around fun learning. They believe that this form of education is critical for the overall development of any child, no matter their age. And the Explore One Aries telescope is one of many products manufactured by this brand. After making a purchase, you need to install your telescope. Don’t be scared, however, as the entire setup process doesn’t take up much of your stargazing time. Its installation is so simple, and you can leave it to your children to try. Not only will this entertain them, but the installation process can also increase their love for learning about space and all its details. Just as it’s easy to use, the Aries telescope from Explore One is easy to carry around. The portability of this scope is made possible through the use of a carry case, included upon purchase. The carry case of this telescope is a hard case, and it doubles as an excellent storage area for your telescope when it’s not in use. The Explore One Aries scope for children is one of the best glasses on the market because of its versatility, in addition to its portable characteristics. Whether its morning or night, you still receive crisp, clear images of nature or the stars from this telescope, with no issue. The features associated with this telescope are profound. It comes fully loaded with a 360mm AZ mount, a 50mm aperture, a tripod and a travel scope, and fully coated optical glass that produces clear, stunning images via its high transmission coatings. All models produced display an increased level of clarity and brightness, making this unit a magnificent thing to behold. Included upon purchase are two eyepieces. These units are interchangeable, and they offer users two different magnifications; 18x and 28.8x. The tripod provides extra stability for your telescope, while its alt-azimuth mount enables you to position your scope smoothly and point out locations easily. The Explore One comes with a star map, astronomy software and appealing package design that makes it a beautiful gift option for your little one. 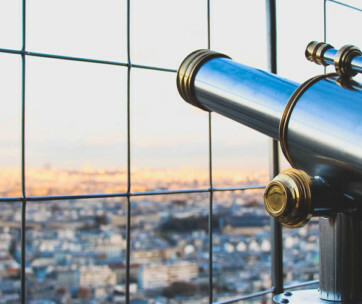 For those who aren't conversant with telescopes, making the right choice can be tough, but with a little knowledge on the different features and the necessary things to look out for, your selection process will be more comfortable. All telescope reviews mentioned in this article were selected after scrutiny and research which focused on areas such as cost, ease of use, quality and versatility. Ease of Use -With the knowledge that these scopes are going to be used majorly by children, we were sure to select toys that weren't overly technical, as this feature might be a huge turnoff for you and your child. All telescopes enlisted are high for children because they feature a design and operation system that they will be sure to make use of. Cost - The selection of a telescope for kids, especially their first telescope, must be affordable. Our research team gave higher priority to products that will not overwhelm both your pocket and the mind of your child. These products have been chosen with cost in mind also because, just as seasons change, so can your little one's interest for stargazing. Quality - A telescope is made from the assembling of various parts, each of them is essential to the production of images that can be much appreciated by your little one. Our team significantly considered the quality of elements found in a telescope, from its aperture size and eyepieces to the type of telescope during the screening process. Portability - As long as your child can carry his telescope from his bedroom to the balcony by himself, he will love playing with it every day. Such natural movement through a telescope’s compact design streamlined our list of recommendations even further. As a result, every product we recommend can be moved quickly by both you and your kid. Versatility - Our team greatly believes in cost-efficient products. One significant way through which a product or appliance can be regarded as cost-efficient is when it's able to perform multiple tasks. The multifunction of any tool or toy saves you from purchasing different tools or toys for various activities. The products we have chosen can be used for other activities apart from stargazing, such as birdwatching. Before you opt for a specific brand or model, it's crucial that you set aside all your ‘adult' expectations, to help you make a non-bias, yet fully informed the decision for your little one. The significant factors that are to be considered before money is dished out for a scope include the aperture, magnification, accessories made available and the kinds of mounts. Aperture - The most important feature of every telescope is its aperture. The amount of light captured by a telescope is determined mainly by the aperture size of that telescope. The larger the aperture, the clearer and brighter all images produced are. Usually, telescopes with large apertures are bulky in design, and thus, a balance must be sought when deciding for a child's telescope. Magnification - The eyepiece of every telescope is responsible for the provision of magnification. The value of your magnification, however, will much depend on your telescope's aperture. High magnification is essential thus, having a low aperture telescope will not be of any help, even if the magnification eyepiece you possess features high magnification. Most of the high-quality telescopes produced come with more than one eyepiece, to make both low and high magnification viewing possible. Accessories - The accessories need for a thorough enjoyment of stargazing isn't many. This new hobby doesn't require much to have an excellent basic setup, with some of the accessories including eyepieces and the Barlow lenses. These elements are needed to enable your child to enjoy a great view of deep sky objects such as the nebulae. Other accessories are the color filter kit, star maps, and a basic maintenance kit. These accessories must be included upon purchase for your preferred telescope. Mounts - The equatorial and alt-azimuth mounts are the important types of telescope mounts. The main aim of every mount is to offer stability to your telescope, not to aid in movement. The basic design of an alt-azimuth mount makes it extremely easy to build, no matter your age. They are cheap, user-friendly, sturdy and reliable, making them ideal for a young telescope owner. The equatorial mount for telescopes often features a motorized system that can be programmed to track and locate any celestial object. With their technology, they are more expensive, and their setup is more complicated than the alt-azimuth mounts. Types - There are three major kinds of telescopes; the refractor, reflector and the compound. These must be considered before any purchase is made since they're all different in functions. Refractor - The refractor telescope is a long and thin telescope. It is an excellent option for children who always forget to seal up their glasses, and those who love doing more than gazing at stars and planets. Reflector - Reflectors are used only for stargazing. They are the most economical option out of all three types of telescopes, and they tend to take up less space wherever they're located. The downside of this scope is its need for regular maintenance. Compound - Just as the name suggests, the compound telescope features two distinct mirrors and are perfect for astrophotography. They possess more power than the other kinds of scopes, with its only downside being the production of dimmer images.